At this time, EA isn’t giving out a release date. They are counting how many “Like”s they are getting and releasing material based on that. They just passed 1 Million Likes and seem to be trying for 2 Million. My guess is that a working version is already done and they are just adding items and building hype. After all, most Facebook games never get out of the Beta stage – always tweaking and adding. So why are they holding out? Probably just waiting for the right time. They do have The Sims 3 Medieval Pirates & Nobles dropping on Aug 30th, then The Sims 3 Pets coming out on Oct 18th and they wouldn’t want to draw attention away from these products. 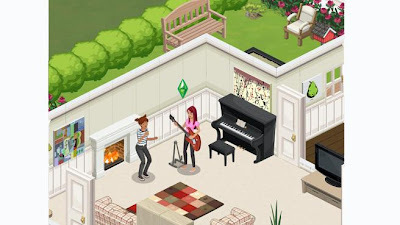 I’m sure that EA is thrilled at the prospect of yet another area to expand in, so if The Sims are a hit – you can be sure they they will add more Facebook titles. I found a link into The Sims Social through Playfish’s site. As you may know, EA bought up Playfish for as much as $400 Million. Playfish already hosts pages for EA’s Monopoly Millionaires, Madden NFL Superstars, FIFA Superstars, and World Series Superstars. 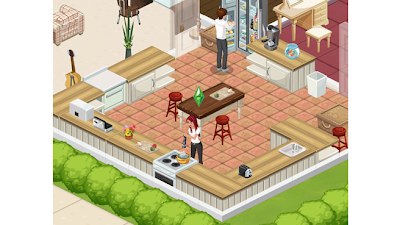 We’ll have to see how well The Sims integrates into Facebook. It seems like a perfect social fit for a very social network. I’m sure that with Playfish’s help, it will be a smooth transition. I HATE these promotional blackmail schemes. "We'll show you a peek when a million people click out button". Ugh! I love a good fanboy feeding frenzy, but I refuse to be exploited for it. I stopped visiting Steam when they started pulling their "play these 10 games to get tickets, 10 tickets for tokens for the raffle, for 1 thing on your wish list you need to fluff up to 10 items" "Promotions". Marketing is all about the sales. From the same people that brought you human stampedes for the newest "IT" product. I agree that it wears thin quickly. There's a difference between having a product that is in demand and holding promotional materials for 'ransom'. It doesn't even make sense. It's like Coke saying they won't air anymore TV commercials until 500 people call them on the phone. It turns out that they actually waited to drop Sims Social until they got their 2,000,000 "Likes". Ugh. Game is still a little buggy, like all facebook games at launch.